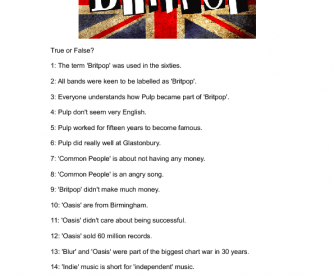 This task involves students watching a short BBC documentary and answering some true or false questions. My students loved this task as they enjoy learning about British culture and watching interesting videos. 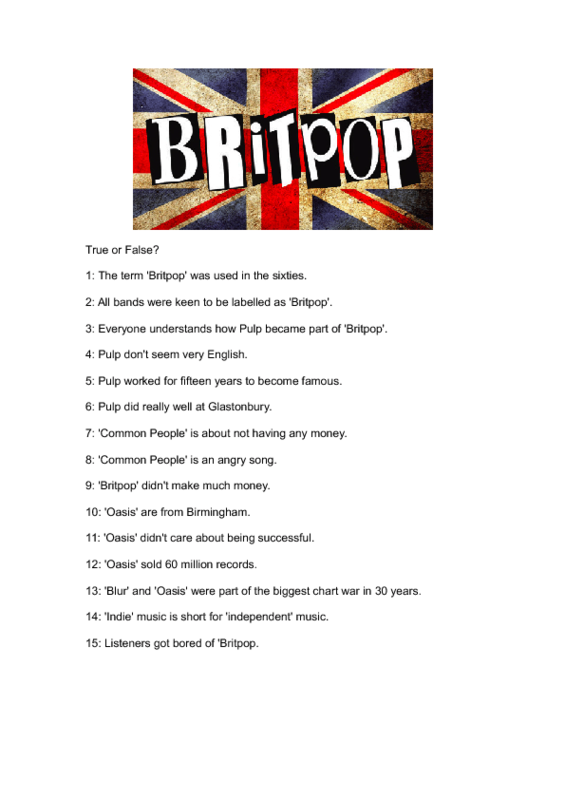 I introduced this lesson theme with a quick gap fill to the song Common People. I hope you and your students enjoy it!